Recently Attorney Flem Whited attended the 20th anniversary of the three-day summer program of the National College for DUI Defense located on the campus of Harvard Law School. 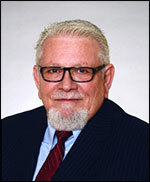 Mr. Whited, along with several attorneys from around the country, founded the College in 1994. Since that time it has grown to over 1500 member lawyers. The NCDD is the only organization authorized by the American and the Florida Bar Associations to certify lawyers in the area of DUI / DWI defense. Mr. Whited serves on the certification committee as a senior specialist.